Let's go out to the ball park! 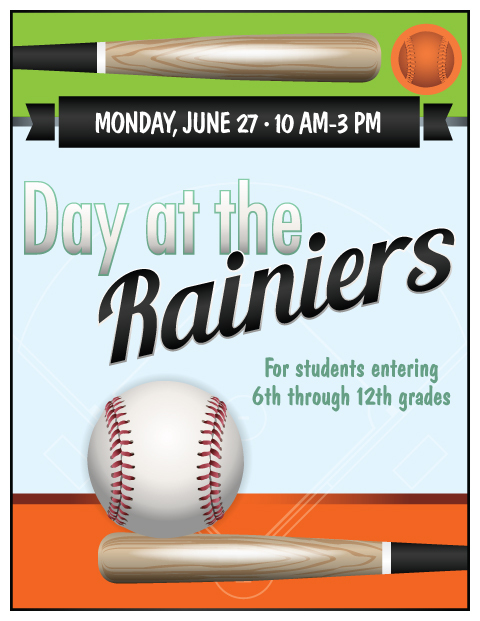 Students entering 6th grade through 12th grade can catch the game bus from the Red Barn Youth Center in Key Center for a day of baseball and fun in the sun at the Tacoma Rainiers on Monday, July 27! Tickets are $12 and include a reserved seat for the 1:30 am game, a ballpark meal, a game program, snacks and the ride to/from the Red Barn! Now that’s a home run! Purchase your ticket(s) at the Red Barn, or download the reservation form at www.redbarnkp.org and mail it in. If you need to pay with a credit card, you can do so by clicking on the payment portal below. There is a two percent (2%) processing fee for credit card payments. Students do NOT have to be a regular attendee of the Red Barn to be able to go! This fun youth outing is made possible by a partnership between the Red Barn Youth Center and Key Pen Parks and by a generous grant from the Angel Guild Thrift Shop in Lakebay.